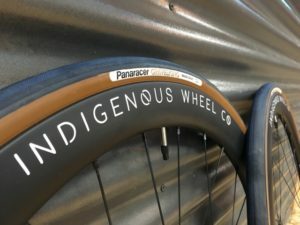 Ibis Ripley LS | V.3 - Indigenous Wheel Co.
A local dirt connoisseur was looking to upgrade from a Ritchey P29 steel hardtail with a 120mm fork on the front to something that could handle more, faster, better. 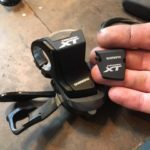 He had ridden his bike to its limits, and needed something new that would meet his needs and look absolutely awesome doing it! 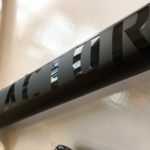 We went forward with the build from the frame up, so he had input on everything from color to the quality of rear shock. 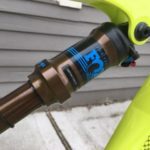 For colors, he went loud, and for the shock, we chose the Fox Kashima Float, which has tuned to the specs of Ibis’ suspension platform from the Fox factory. 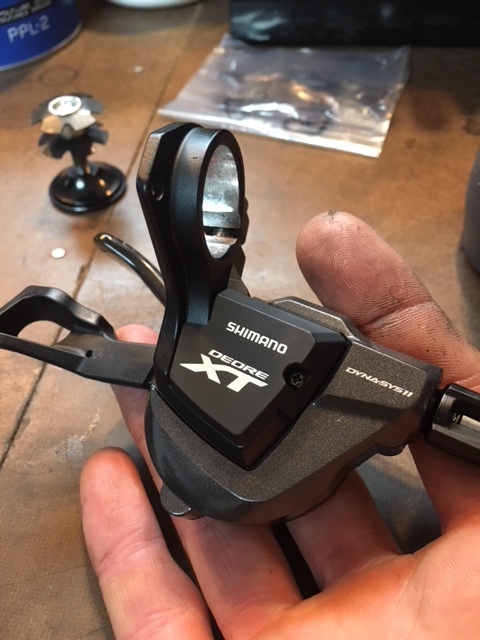 We chose a full Shimano XT group (from drivetrain to brakes) which was a weight-conscious choice as we were shooting for a sub-30lb build. 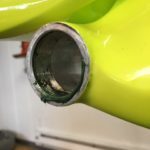 For a tidier cockpit, we removed the shifter’s gear indicator. 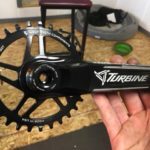 We chose to go with a Race Face Turbine crankset with a “cinch” chainring system that integrates the chainring into the crankarm without the use of chainring bolts. It makes for a seamless look and much lighter setup. 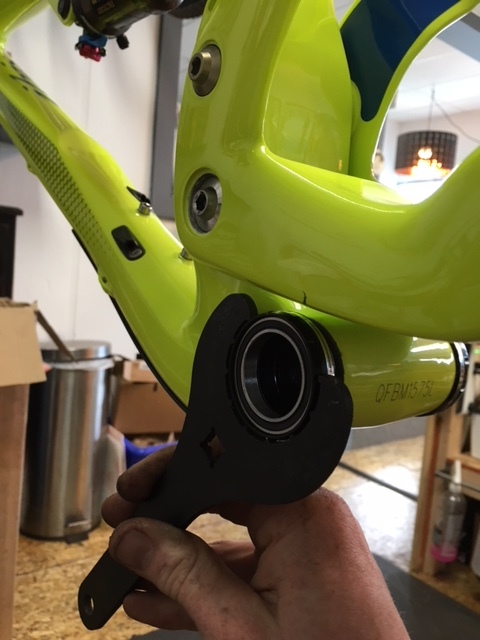 The install of the English to BB30 bottom bracket was a bit tight, but still manageable. 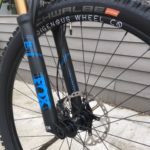 For a few more quality additions, we looked to the folks at Wolftooth Components. 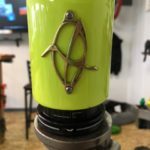 Their parts high-quality and easy to install (as I’ve said many times before), and they compliment nearly every bike with their snarling wolf logo. 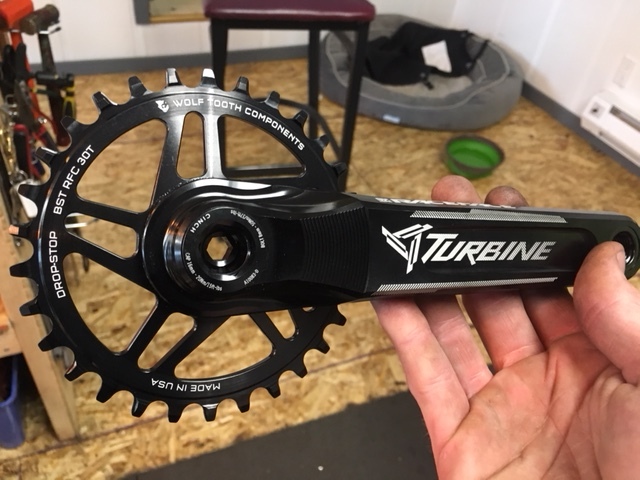 We went for a 30t wide/narrow chainring setup (with an 11-46 XT M8000 in the rear) for some excellent climbing ability without losing too much of the top end speed. 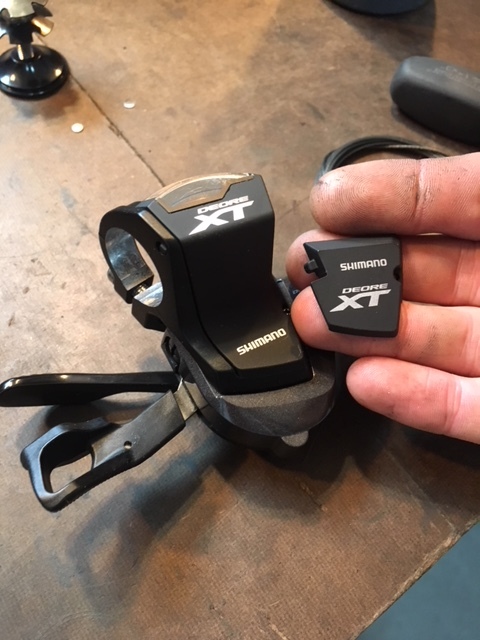 A chain guide was also added as a little extra insurance to avoid a dropped chain over rough patches and as the rear goes through it travel. The final outcome was nothing short of awesome! Small details were not overlooked. 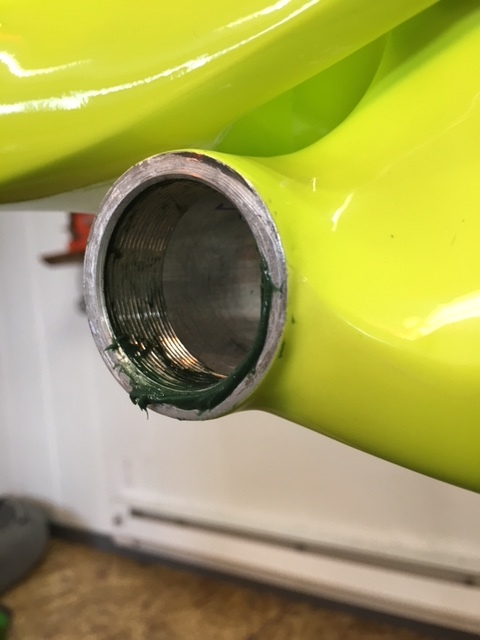 If you are considering having (or currently having) a custom bike built, do sweat the small stuff! 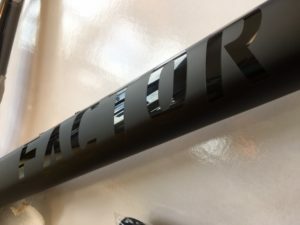 Make sure you’re adding the right touches to make the bike your ideal machine. The tricky parts is getting all the cables to look and play nice with each other.  There’s nothing worse than having a really nice bike with a botched cable installation job. 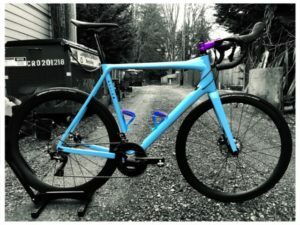 A PNW Components dropper post was used for this build. The Bachelor (150mm and 170mm models) uses a shift-lever-like setup that tucks away under the handlebars. Spot the blue! 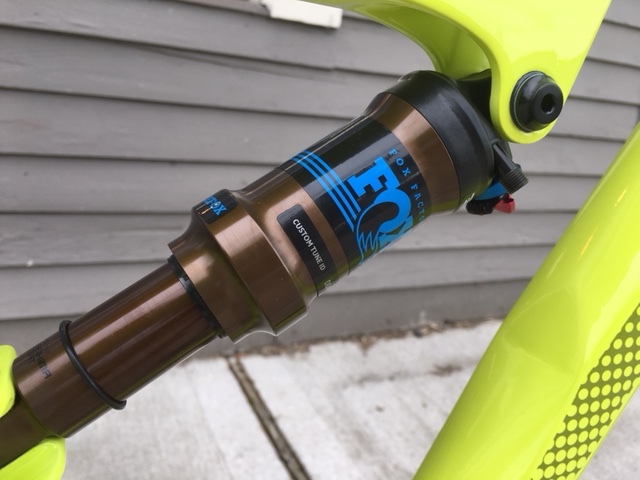 Supacaz makes great grips and accessories such as top caps that perfectly match the dials on the Fox fork and the blue on the Ibis. 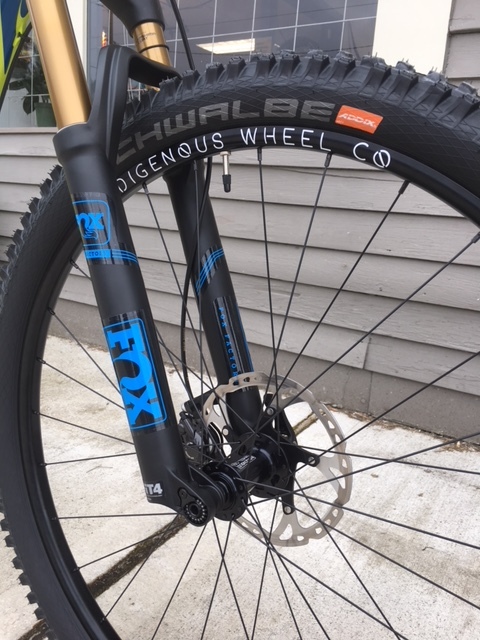 Fox has decal kits in an array of current colors to make your bike look “matchy-matchy”. This customer is also sporting a Build No. 5 with a boost hubset. 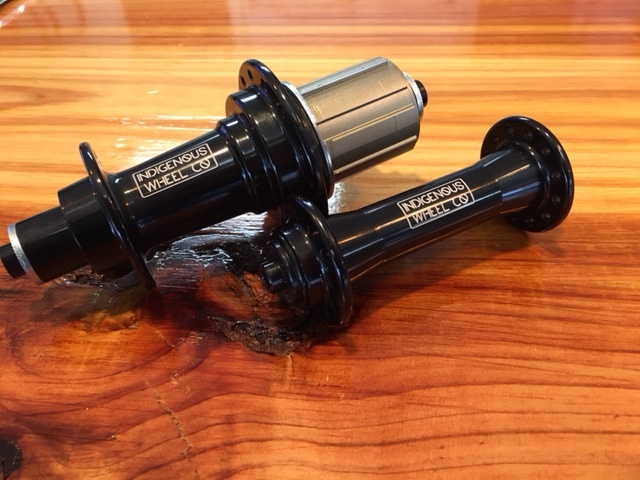 The wheels came in at 1,500g for the pair! Not only can you climb anything with that 11-46t in the back, you could probably use it as a small plate in case of emergencies. 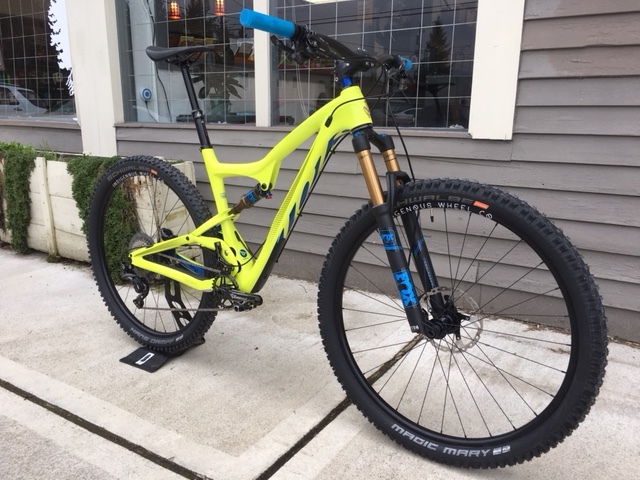 Big, bright, and only 28.6 lbs… with a dropper and pedals. I had a lot of fun with this build. 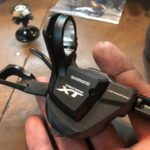 There where no hiccups in the build process, no QC surprises, and it was easier than other full-suspension bikes to cable-up! 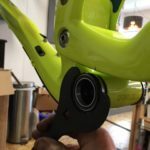 It also helps that it’s an Ibis with an exceptional suspension design. 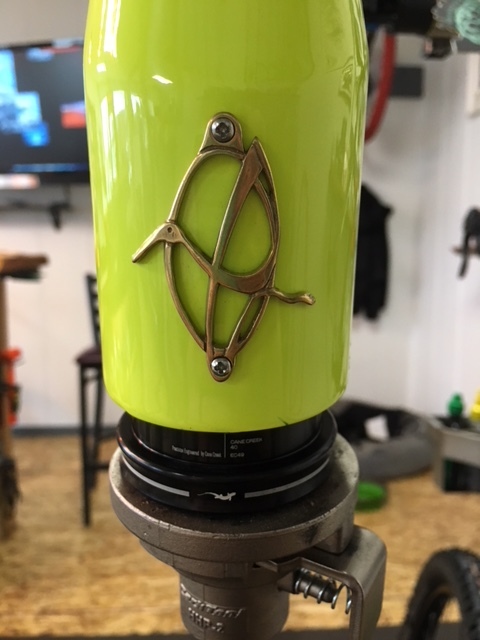 To my customer, thanks for the build opportunity, have fun on the trails, and wash your bike often!